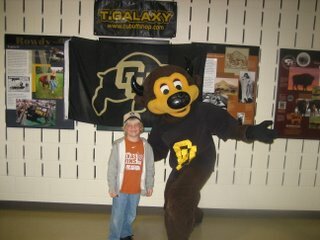 Blake and Carter went out to see the longhorns play the buffaloes in Boulder on Saturday at the University of Colorado. 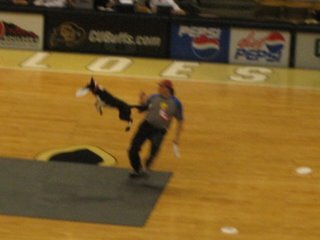 They had a great time! 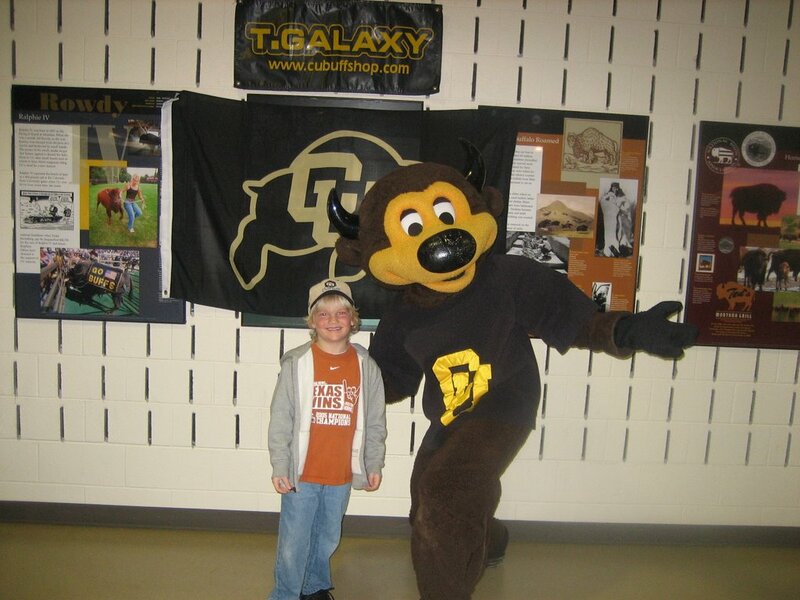 Carter with the mascot. 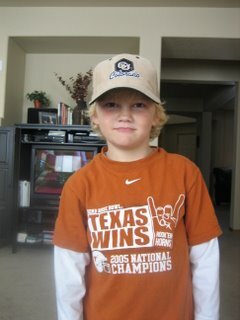 He got a lot of comments from people because he had a Texas t-shirt on and a Colorado hat. Maybe his favorite part....."Dogs were on the basketball court at half-time!!!!!" Before they left. 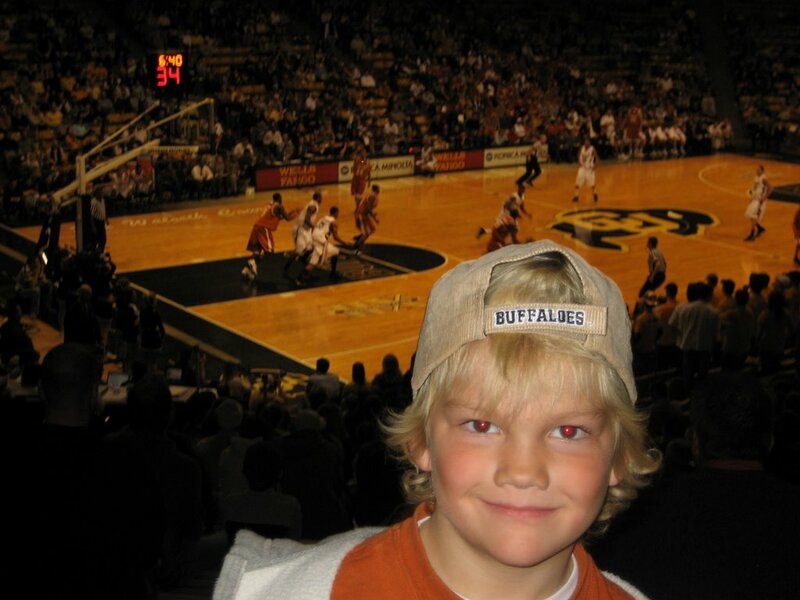 I love this picture. He looks like he could be 10 years old.